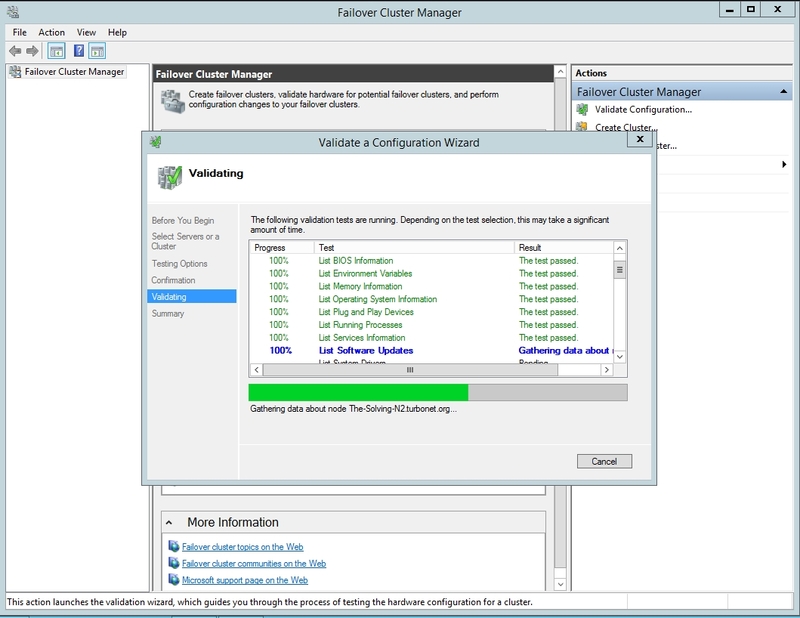 Hyper-V can enable high-availability using Windows Server Failover Cluster Manager. 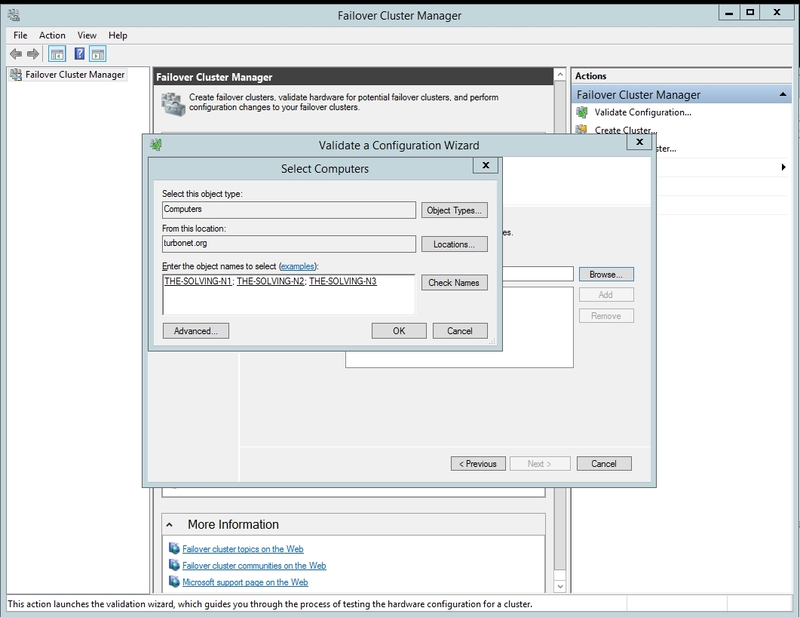 This allows you to create a virtual infrastructure which is resilient to server failures. 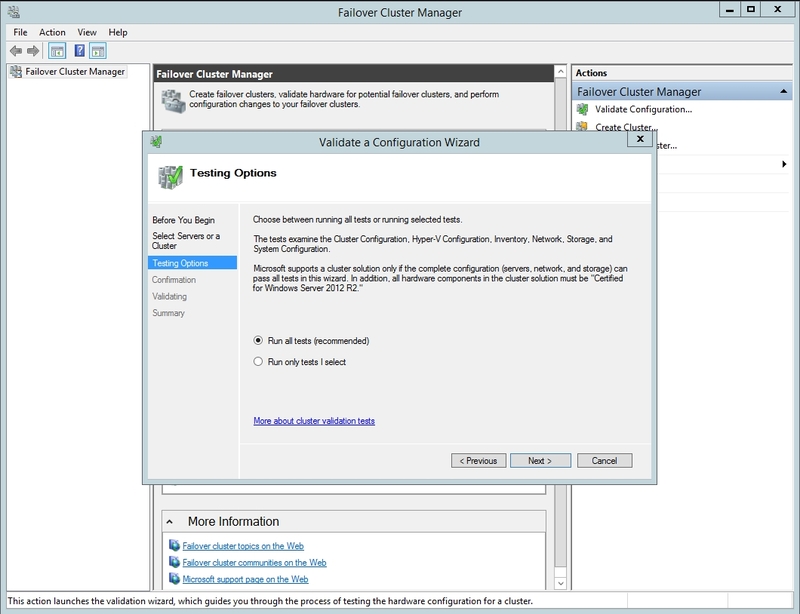 A typical Hyper-V failover cluster setup consists of 2 or more servers, which share clustered network and clustered storage resources. 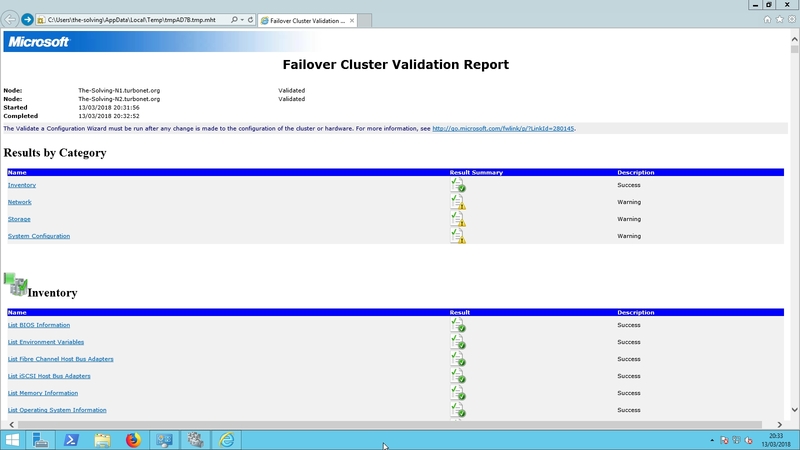 In the event of a server failure, the clustered resources are seemlessly failed over to the next available server. To the end user, there is generally no impact on services running on the server. 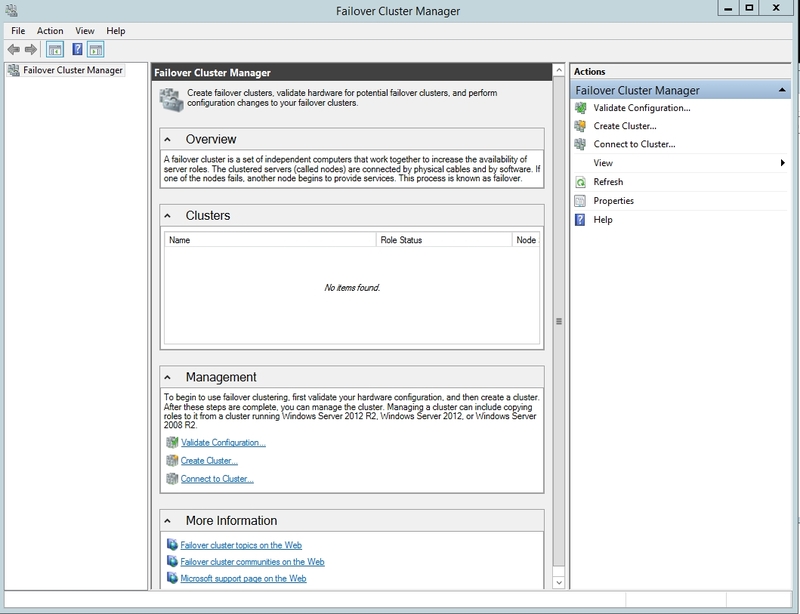 Failover is an automated process which is managed by the Operating System. 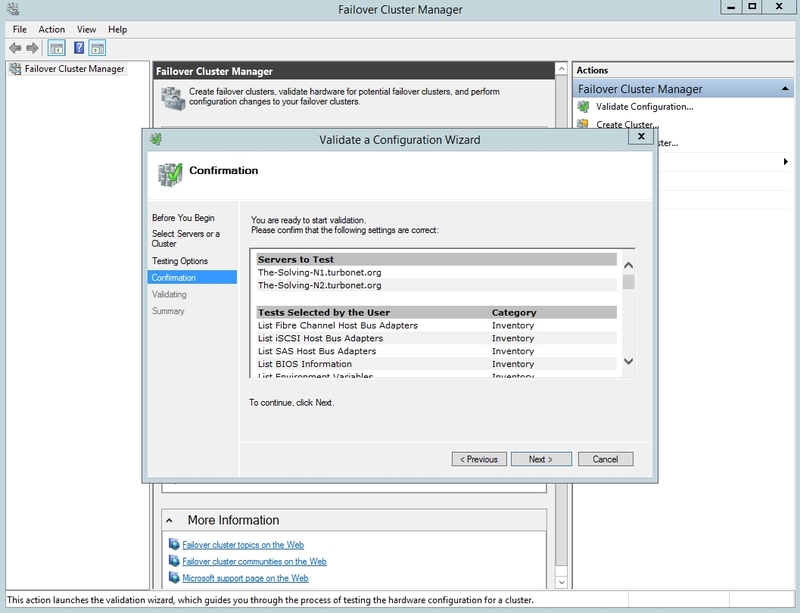 Hyper-V enables you to create clustered storage and clustered networking which are an infrastructure requirement for cluster failover manager. 2x Windows Server 2012 R2 Nodes with the Failover Cluster manager role installed. 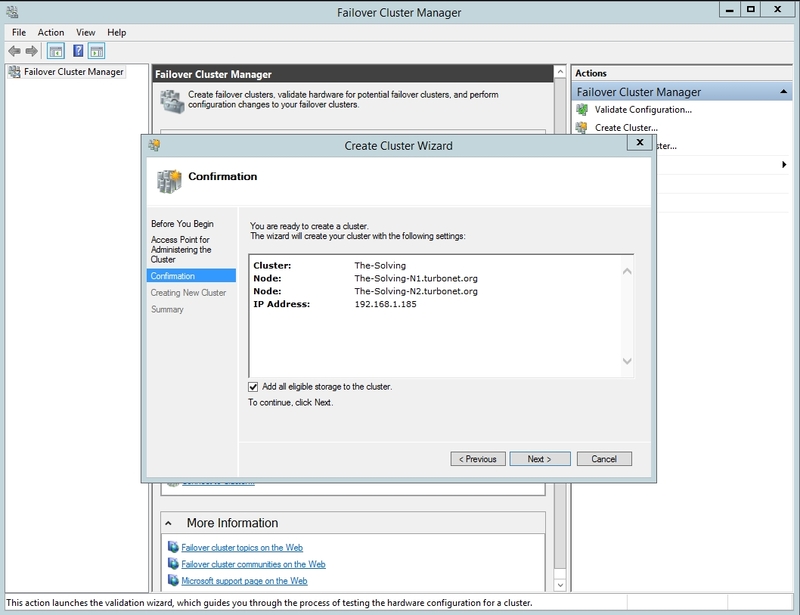 Windows Server 2012 R2 Failover cluster manager is required on both Node servers. In this example this will be done on The-Solving-N1 and The-Solving-N2. 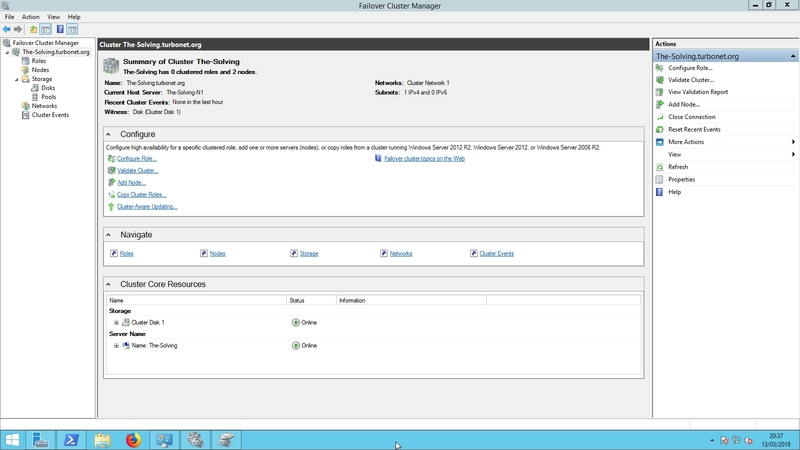 Ensure you have the Failover Cluster Manager role installed on your Windows Server 2012 R2 servers. 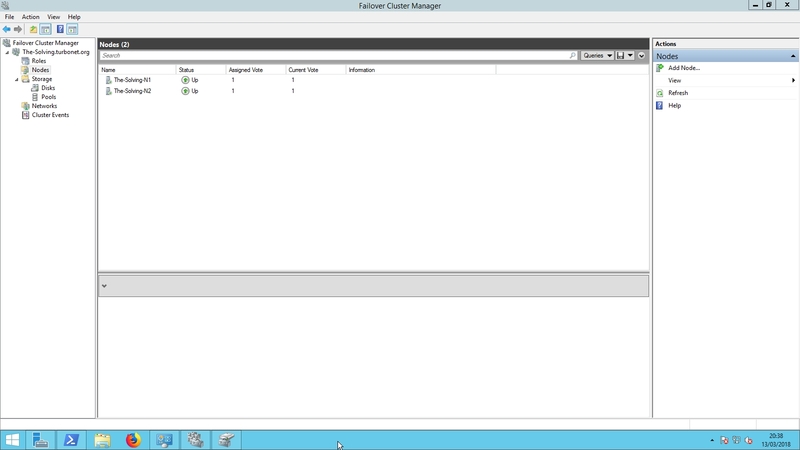 This is a server role which can be added from Server Manager. 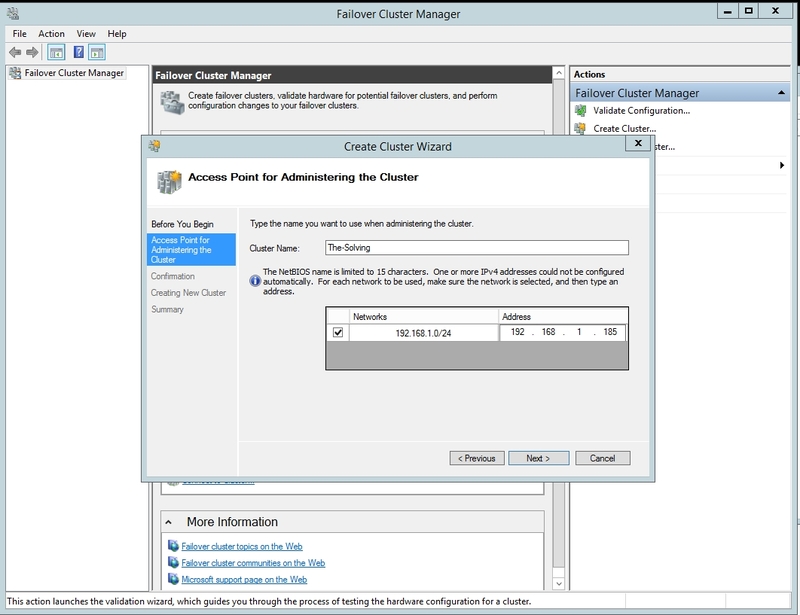 The Cluster Wizard will now create the cluster for you. This process takes a few minutes to complete depending on the complexities of your setup.